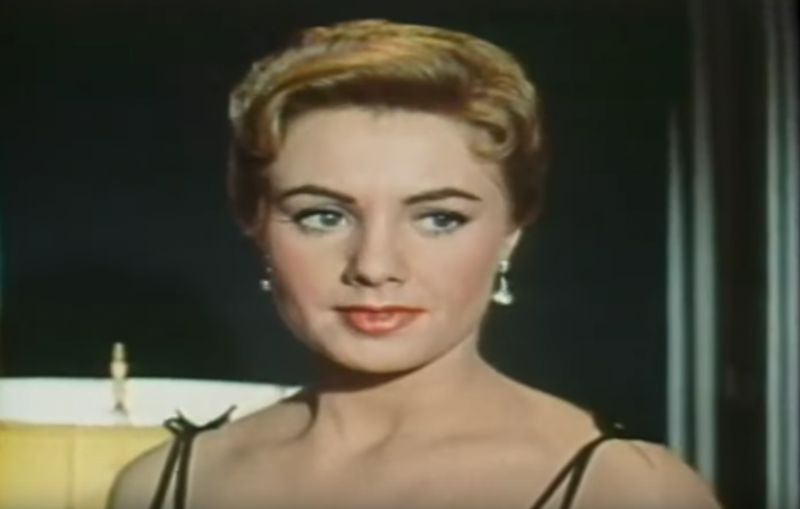 Star of stage, television and movie screen, Academy Award-winning actress and singer Shirley Jones was born March 31, 1934 in Charleroi Pennsylvania. In her autobiography Shirley Jones: A Memoir (2013), Jones recounts singing in the church choir at age six and taking voice lessons starting at age 11. The summer she graduated from South Huntingdon High School (1952), a photographer for the Miss Pittsburgh Pageant encouraged her to enter the contest. 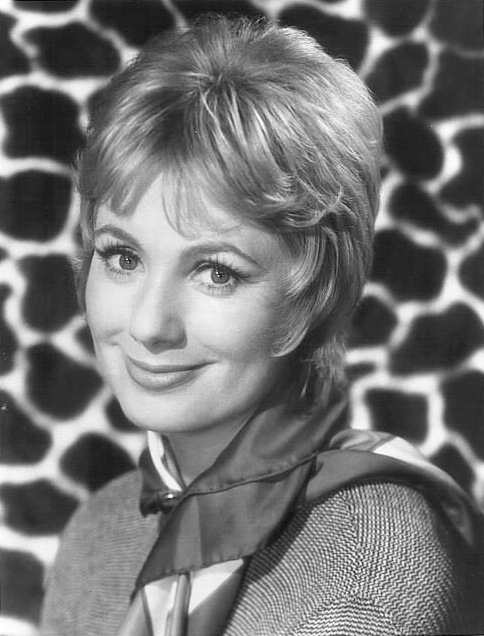 Shirley Jones won Miss Pittsburgh at age 18, and was a runner-up in the Miss Pennsylvania contest. A trip with her parents in 1953 to New York City resulted in Shirley Jones meeting an agent that urged her to go to an open audition for a casting director that worked with the legendary musical theatre team of Richard Rodgers (composer) and Oscar Hammerstein (lyricist). Jones earned a part in the chorus of South Pacific on Broadway and her long professional career in entertainment was launched. A couple of years later, Jones was starring in the 1956 European touring production of Oklahoma! opposite her married co-star, Jack Cassidy. 22-year-old Shirley Jones was courted by 30-year-old Jack Cassidy, and they married in August 1956 when his divorce was finalized. She became step-mom to David Cassidy, Jack's 6-year-old son with his first wife Evelyn Ward. In both her 2013 autobiography and the 1990 book Shirley & Marty: An Unlikely Love Story, Shirley Jones described her personal relationship with Jack Cassidy. He was older, far more sexually experienced and adventurous, a heavy drinker, prone to highs and lows in mood (Jack Cassidy was not diagnosed as bi-polar until quite late in his life). Jones was well aware throughout their marriage (and before), that Jack had numerous affairs with other women and also with men; a self-proclaimed sexually adventurous type herself, she tolerated his infidelities. Shirley Jones made her big screen debut starring in the film version of Oklahoma! (1956) opposite Gordon MacRae. Their Oklahoma co-stars included Gene Nelson, Gloria Grahame, Charlotte Greenwood Eddie Albert, James Mitchell, and Rod Steiger. Oklahoma! was quickly followed with another Gordon MacRae/Shirley Jones musical, Carousel (1956); supporting cast members in Carousel were Cameron Mitchell, John Dehner, and Gene Lockhart. More stage, film, and guest-starring television roles followed. Below, Gordon MacRae and Shirley Jones are featured in the movie trailer for Oklahoma!. Jones and her husband Jack Cassidy acted on stage together 5 more times, including Maggie Flynn (1968) on Broadway, and The Marriage Band (1972), their last on-stage partnership. Cassidy and Shirley Jones also recorded 4 albums that were released while they were together, the last being the soundtrack to Maggie Flynn. Before starring in her Academy Award Best Supporting Actress role as a prostitute in Elmer Gantry (1960), Shirley Jones and Jack Cassidy had their first son together, Shaun Cassidy (b. September 1958). Shirley's friend Gordon MacRae is Shaun Cassidy's godfather. While filming The Music Man in 1961 (the movie was released in 1962) with Ron Howard playing her younger brother, Shirley discovered she was pregnant. Jones' second son Patrick Cassidy was born in January 1962. 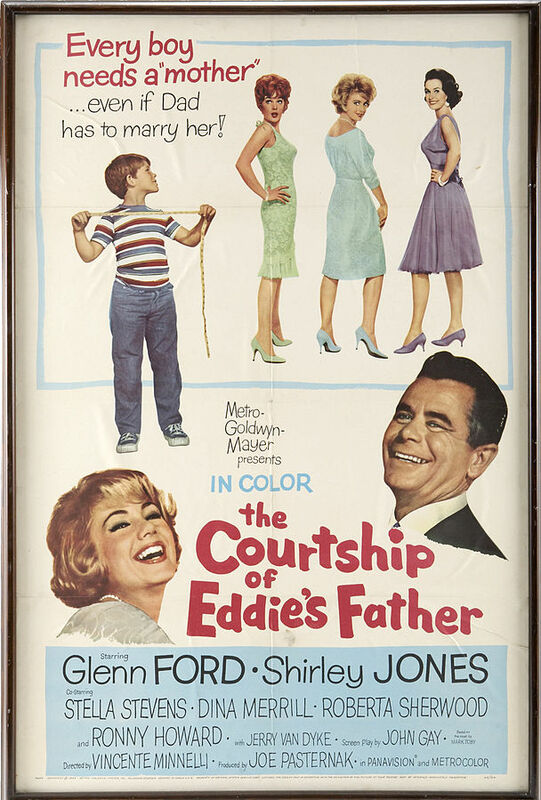 The following year, Shirley Jones and Ron Howard appeared onscreen again together in The Courtship of Eddie's Father (1963), with Dina Merrill, Stella Stevens, Jerry Van Dyke, Lee Meriwether, and Andrew Stevens. Jack Cassidy and Shirley Jones' third son Ryan Cassidy was born in February 1966. Despite having been in 12 movies and 3 plays in the 1960's, by the end of the decade Shirley Jones' career was waning. After filming The Cheyenne Social Club (1970) with Jimmy Stewart and Henry Fonda, she auditioned for the role of a mother of five in a new television musical comedy. Shirley Jones discovered her stepson David Cassidy (then 20 years old) was also auditioning, for the role of her on-screen son Keith Partridge. Above from left, the cast of The Partridge Family in 1970, clockwise from left: Danny Bonaduce, Susan Dey, David Cassidy, Jeremy Gelbwaks, Shirley Jones, and Suzanne Crough. The Partridge Family starring Shirley Jones as Shirley Partridge was an instant television hit with baby boomers when it aired in September 1970. 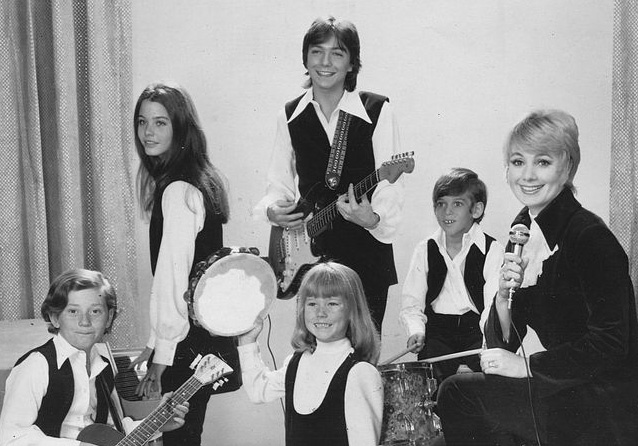 In addition to the popularity of the television series, The Partridge Family recorded 9 albums while the show was on the air (1970-1974), and achieved several hit singles with David Cassidy and Shirley Jones singing. Although The Partridge Family made David Cassidy a teen heartthrob, it typecast Shirley as a clean-living mom, a persona she has said did not mirror her off-screen life at all. The Partridge Family was cancelled in 1974 due to low ratings, and Shirley Jones' divorce from Jack Cassidy after 18 years of marriage, was finalized that year as well. Despite the cancellation of The Partridge Family and her divorce from Jack, Shirley, her three sons with Jack, and her step-son David Cassidy, all remained on close friendly/family terms. Jones kept busy for the rest of the 1970's acting in television movies (The Lives of Jenny Dolan) and stage musicals. In her 2013 autobiography Shirley Jones: A Memoir, Jones says Jack Cassidy had called her on December 11, 1976, and wanted to reconcile with her; she turned him down and discovered later that night that Cassidy's apartment was on fire. Cassidy had fallen asleep on his couch while smoking a cigarette. Septuagenarian senior citizen Jones later reflected in her 2013 autobiography that Jack Cassidy was the most influential person in her life. Despite this, Shirley Jones moved on professionally and personally. Below, Shirley Jones in 2009 with second husband, Jewish comedian, actor and talent agent Marty Ingels. In their joint memoir Shirley & Marty: An Unlikely Love Story (1990), the couple separately recount first meeting at a party at actor Michael Landon's (Bonanza) house in 1974. Shirley was adapting to life as a single mother and Marty (also prone to highs and lows in mood) was struggling to recover from months of depression following separation from his wife Jean. Ingels was immediately love-struck and pursued Jones until they married in married in November of 1977. Shirley Jones' long marriage to Marty Ingels was marked with several separations and one withdrawn divorce petition (in 2002). At the end of the 70s, Shirley Jones made a return to the big screen after an 8 year absence in Beyond The Poseidon Adventure (1979), and starred in her own, self-named TV comedy series, Shirley. Shirley ran from October 1979 to January 1980, and was cancelled after 13 episodes. Throughout the remainder of the 1980's-1990's, through her 50+ and early 60's years, Jones kept busy raising her family. She occasionally guest-starred on popular television shows and in made-for-television movies such as There Were Times, Dear (1985), about a woman whose husband has Alzheimer's Disease, for which she received an Emmy Award nomination. The following year Jones was recognized with a star on the Hollywood Walk of Fame. Her sole big-screen appearance during the 1980's was in the movie Tank (1984) starring James Garner. On stage, Shirley Jones appeared in 4 plays during the 1990's, co-starring with husband Marty Ingels in two different productions of Love Letters (1994 and 1995). Shirley Jones became a senior citizen in 1999 and after another long absence from the big screen (15 years since Tank), she appeared in Gideon (1999). Gideon is about a mentally challenged young man that moves into a retirement home and changes the mindsets of the senior citizen residents. Shirley's fellow senior actors in Gideon included Charlton Heston, Mike Connors, Shelley Winters, Carroll O'Connor (All in the Family), and Harvey Korman (The Carol Burnett Show). Although Gideon was popular with reviewers, it bombed at the box office. A return to Broadway in 2004 as a septuagenarian senior citizen in 42nd Street saw Jones on stage with her son Patrick Cassidy; she appeared in two films as well that year. 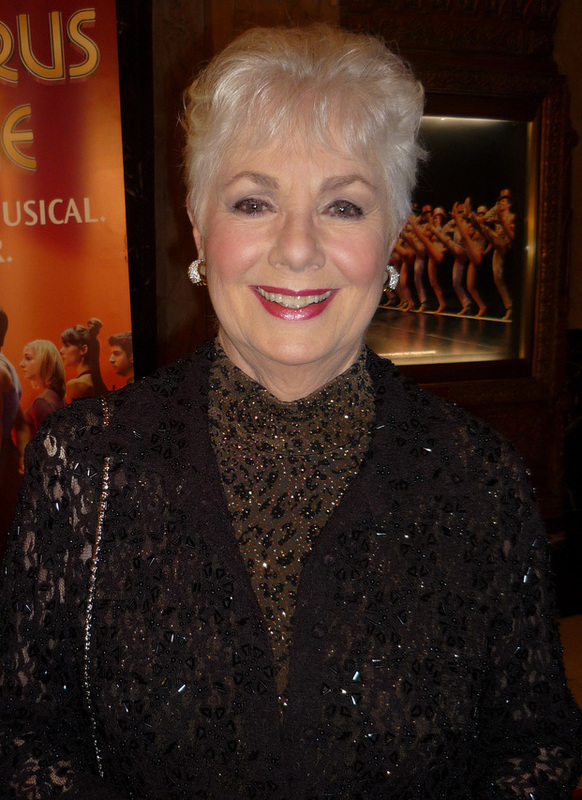 Throughout her seventies, Shirley Jones continued to act on stage, including productions of her former stage and film roles such as Carousel (2005), and worked with her son Patrick Cassidy on stage in The Music Man (2012). Shirley Jones kept up a steady presence on "B" big-screen films, and on television with more made-for-TV movies like Hidden Places (2006). Jones was nominated for an Emmy Award for her performance in Hidden Places. Jones made an appearance on the 2009 comedy series Ruby & the Rockits in the episode 50 Ways To Heave Your Mother. Ruby & the Rockits TV series was written and produced by Shirley's son Shaun Cassidy, co-starred her son Patrick Cassidy and step-son David Cassidy, and had her third son Ryan Cassidy as the set designer; Shirley Jones played Patrick and David's mother in the episode. 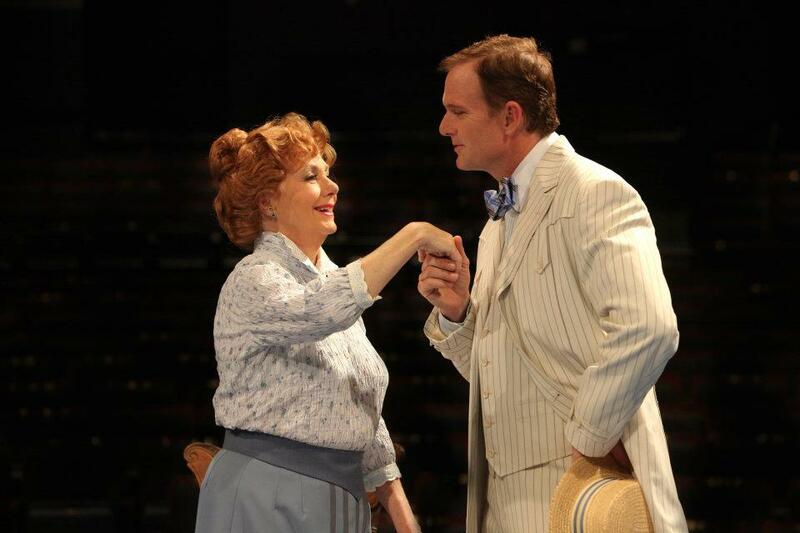 Jones and her son Patrick Cassidy were co-stars on stage in a production of The Music Man in 2012, below. Shirley Jones shows no signs of slowing down as she proceeds through her eighties. Since becoming octogenarian senior citizen, she has appeared in a few small roles on television in series such as Cougar Town (2013) and Hot in Cleveland (2013). Her most recent feature film is On the Wing (2015), which has won awards at some independent film festivals. Sadly, Shirley Jones' husband Marty Ingels died in October 2015 after complications from a stroke, just before their 38th wedding anniversary. Today Shirley Jones is a grandmother many times over courtesy of all three of her sons. Happy 82nd Birthday, Shirley Jones! I believe I met Shirley Jones a couple of months ago at a grocery store in Ormond Beach, FL. I saw this very striking woman leaving the store and excused myself to tell her she was beautiful . She kindly said thank you and mentioned she had not heard that in a long time .She then told me her name is Shirley Jones. I said something about kidding and she responded that she is her . We parted after some conversation and returned to our cars . When we were packing she called over and asked my name then told me I was handsome . Well I should have gone over to her and started a conversation. What a mistake on my part which I will always regret . For years she has been my favorite and I have always adored her . The picture has been removed as the source could not be identified. Thanks for your feedback. The photo id's have not been corrected. Nice article, although I'm sure the family picture of the child that you say is David Cassidy holding Shaun, is not. It is Shaun Cassidy holding Patrick Cassidy, I'm sure. David was six when Shaun was born; this is NOT a six-year-old child. ...I looked it up just now and found I am right. Please correct this - thanks! This evening I watched The Courtship of Eddies Father on TCM. I googled the cast and to my surprise discovered that Shirley Jones and I share the same birthday. Our children are almost the same age also! If she ever gets to see replies to this posting please tell her we might enjoy meeting each other. If you Google my name you will learn that I was a practicing Child Psychologist for 45 years and have been a school trustee in York Region, Ontario ,Canada for the past 16 years.